For the last two years we have being taking part in the Amber Flag initiative. 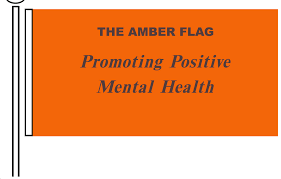 The aim of the Amber Flag is to promote positive mental health and well-being in primary schools. We have set up an amber flag committee with the support of parents and have an annual family fun day to promote mental health and wellness. In June 2016 we received our 2nd Amber Flag. Please contact your child’s teacher for more information about the amber flag.